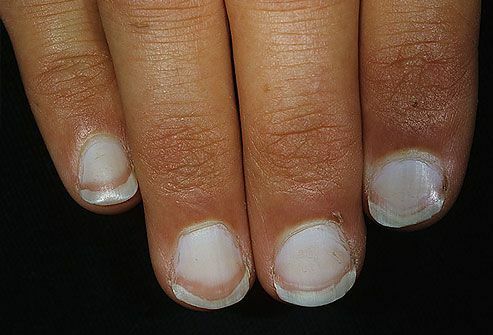 If the nails are all white with darker rims, this may indicate liver problems such as hepatitis. 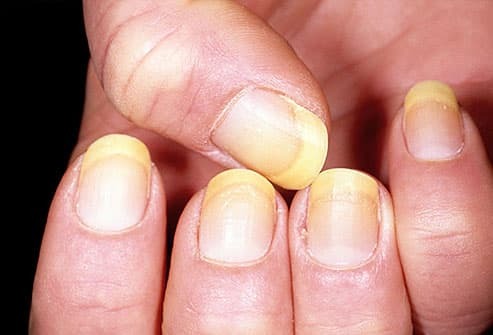 The nails in the picture above are jaundiced, another sign of liver trouble. Yellow nails. This looks a bit like my mom's hand after she mixed tumeric powder with the fish. xD The most common cause would be ♥ fungal infection. 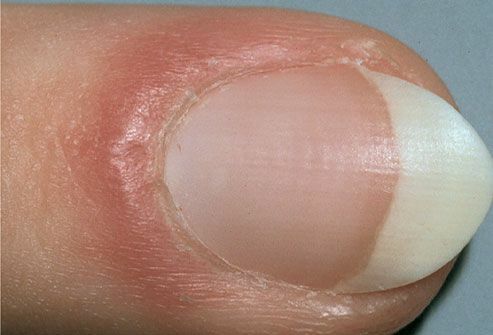 Leaving it would result in worsening infection, retraction on the nail beds and the nails may thicken and crumble. Urgh. Can't imagine. 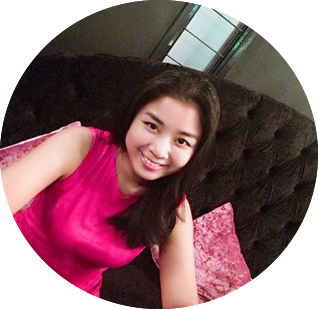 In rare cases, this may indicate more serious condition such as ♥ severe thyroid disease, ♥ lung disease, ♥ diabetes or ♥ psoriasis. Nails with a bluish tint can mean the body isn’t getting enough oxygen. This can indicate ♥infection in the lungs such as pneumonia. A slight bluish base may reveal ♥ diabetes. 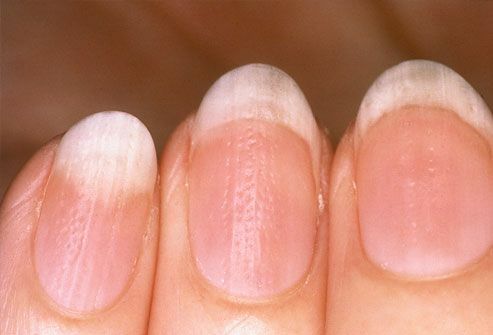 Rippled or pitted nails may be an early sign of ♥ psoriasis or ♥ inflammatory arthritis. 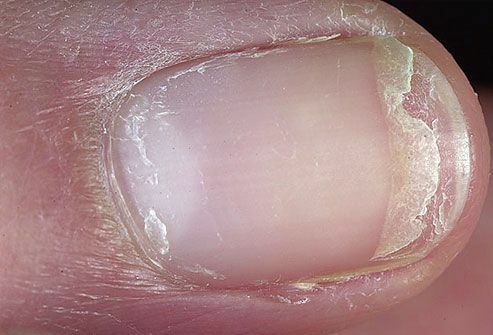 Dry, brittle nails that frequently crack or split have been linked to ♥ thyroid disease. 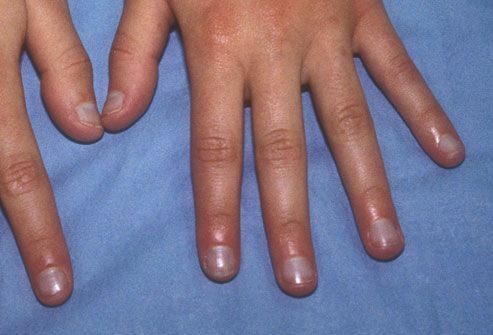 Cracking or splitting with a yellowish hue is more likely due to ♥ fungal infection. 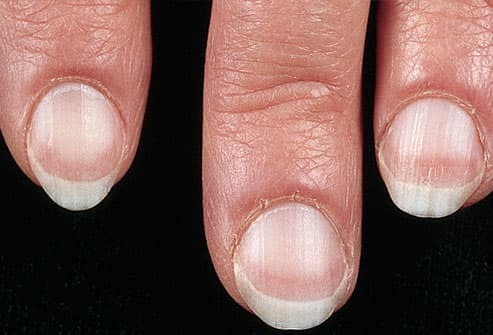 Redness and puffiness around the nails signals an ♥inflammation of the nail fold, ♥ lupus or another ♥ connective tissue disorder. 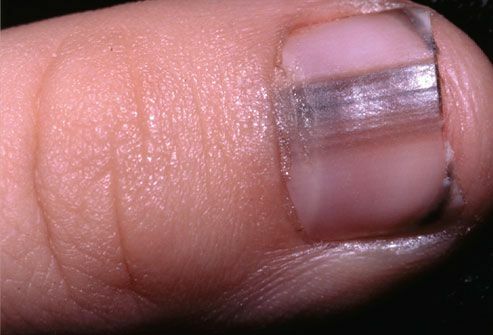 Dark lines beneath the nail may be ♥melanoma, a type of skin cancer. I've seen people whose nails suffered blows and the injured part of the nail turned color exactly like the above picture too.